Falvey Memorial Library :: 10,000 and Beyond! This week, we added our 10,000th item to the Digital Library! This is quite an exciting milestone! The item in question is the Volume 18, No. 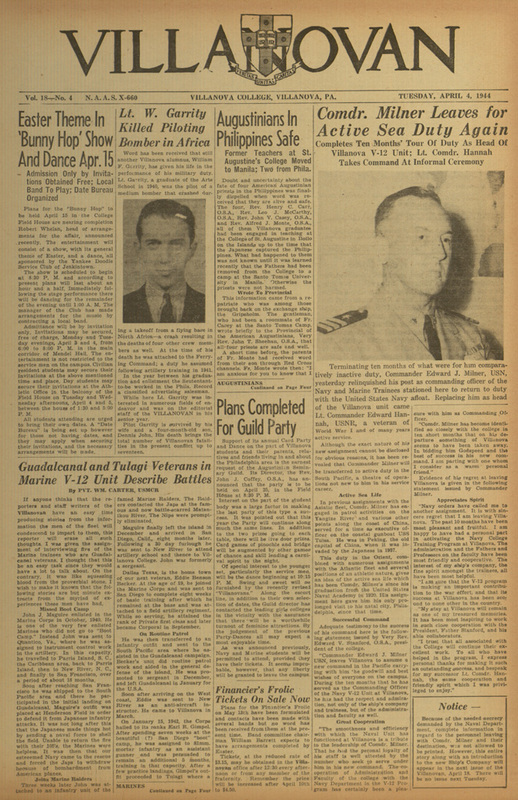 4 issue of The Villanovan, dated April 4, 1944. The Villanovan was scanned from microfilm by the Internet Archive and we have been steadily working on adding the individual issues to our Digital Library. Volume 18, No. 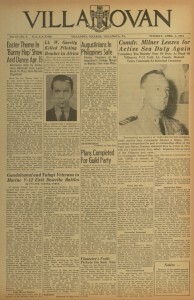 4, April 4, 1944 issue of The Villanovan. Not content with just 10,000, we are already edging past 10,100 as of this writing! The current item count is viewable here and it is updated in real time as we add new items. Not content with 10,000 we are already edging past 10,100 as of this writing! The item count is viewable here.